"I just want to say that this has impacted not only me, but my household, and I am so grateful." "Though it has only been 8 days since I’ve started this challenge, the change in me and our marriage is so incredibly huge!!! We have not had a fight in 8 days and I have to be honest that in the last 7 months we seriously did not go one day without harsh ugly words towards each other. So I will celebrate these last 8 days as a victory!!! All the praise and glory to God!!" "...my husband and I are following the emails. It's probably the most accurate thing either of us has read. " "The challenge that was given in each email was very helpful. My wife and I have been married over 20 years and we had something come in between us. This sent our marriage into the crazy cycle. It just uncovered hurts and past events that were already there. Over the time and reading and praying, God revealed I have many past hurts from my upbringing I never dealt with, which are reflected in outbursts when tension arises. ...working through the 15 day challenge, I am learning to LOVE my wife in a deeper way to see her heart not her attacks. I have never needed this 15 day challenge more than I did over the last few months." "My wife and I just did your plan separately and we have found ourselves resolving things a lot better recently...I have found this very helpful and most insightful as to the man's path in a marriage." "Thank you so much for the 15-day plan...I really was happy to have a review of the material and the ability to print it out and apply it over and over! I intend to keep reading it from time to time and I am sure the application will be ongoing in my marriage. What stood out to me in the 15-day plan: awareness of the differences in our felt needs, the importance of the tone used in conversation, avoiding contempt, expressing positive regard for the person, and the significance of giving your spouse what they need but do not deserve." "I wanted to take advantage of this opportunity to tell you some great news. With the help of the 15 day challenge, my marriage is on much better footing. Probably in the best place we have ever been in years. I will tell you that the most challenging of your challenges was to apologize. I feel like I am always saying I am sorry for something so it seemed like a broken record but I did it. Well, just yesterday, my wife looks me right in the eye and says, "...for the past three weeks you have been the most amazing husband"...You and your wife have truly been instrumental in saving my marriage. Be blessed sir." "You have given voice to what I have been feeling over the last 15 years of our marriage. Frustrated at not being able to verbalize my feelings, I withdrew and stonewalled until I would blow up. Your simple truths rang true with my heart. The section on sexual tensions has been a reflection of where I am...Thank you for giving me hope. " "I cannot thank you enough for sharing the wisdom and insight you have been blessed with. I have been married [for a long time], and it has been a roller coaster. For the last [few] years, our marriage was quiet. We just tolerated each other…[Now] [i]nstead of taking the defense, and jumping on the crazy cycle, I've begun to recognize the signs and symptoms of the crazy cycle and it has changed how I respond. I have seen a change in my husband and it’s amazing." "Yesterday I tried the "60 Second Test." My husband did not follow me after I commented on the ways I respect him and I was a little disappointed but I assumed I didn't word my statement right. This morning he was in a grumpy mood and as he huffed away to our bedroom he said, "I just want to be awesome like I was yesterday!" This is an odd statement for him so I asked for some clarification. He said that yesterday I had told him I respected him and he wanted to be the same man today that I respected yesterday. It made me smile and I thought you'd like to know. Bring on the next challenge!" "The challenge that was given in each email was very helpful. My wife and I … had a troubled teenager come in between us. This sent our marriage into the crazy cycle. It just uncovered hurts and past events that were already there…Now going through the study deeper and working through the 15 Day Plan, I am learning to LOVE my wife in a deeper way to see her heart, not her attacks." "Just wanted to say that this ministry is really blessing my life. I have been able to share it with other people and it already blessed them as well! Please don't EVER GIVE UP! I am sure sometimes, it must be very difficult. But it is so worthy to spread this message. So many marriages being attacked and in need of information like this." "…I am already putting forth a minute by minute conscious effort to speak kindly and respectfully ..... grace seasoned with salt !! I know in my heart it is first and foremost how Jesus interacted with everyone ..... HE ..... always treated EVERYONE with kindness and respect ..... no matter what ..... the woman caught in adultery .... ZACCHAEUS UP IN THE TREE .... and every individual HE interacted with .... I am excited ..... God is able to do exceedingly abundantly beyond my expectations ...... here we go!!!" "Hello! Thank you so much for the love and respect academy two week plan. To say it has been game changing is an understatement. Just one error I found with the 60 sec test. It didn’t take 60 sec.... I didn’t even have time to count before my husband said “Really? What are they?” Not only that, the tone and demeanor changed and softened in a split second. I had to stop myself from laughing out loud and dropping my jaw on how accurate and simple it was to connect with and create an honoring moment for my husband. I have since turned it into a weekly occurrence when we meet to plan our week. And I can tell that he is (not so patiently) waiting for this moment during our time together. Thank you for all you continue to do. I am also reading Love & Respect In The Family right now and it is both convicting and encouraging at the exact same time. Thank you for the truth you share. It makes all the difference for this family." "Thank you! I began the 15 day plan and then my husband several days later. I had shared a few and that inspired him. It spoke to both of us. We had read your book "Love & Respect" some years ago and we could relate but whether timing or format it really made an impact this time. I see an improvement in my husband and now when we head in the direction of the crazy cycle we recognize it & can laugh instead of argue!...Needless to say we both said we wanted to order the next plan and he has intended to. In fact we hope in the future to use your material to mentor other couples." "I just completed the 15 day challenge and loved it!!!" "So enjoy this 15 day trail...thank you"
"I just want you to know that the tone I used with my husband was more calm and I was more respectful with him today and he responded so much different. I’m loving this! It does work!" "Can’t wait for the next one! Love it so far! This goes side by side with everything I’m learning about being a strong Christian woman. This is all very new, but I love it, and it’s working!" "I have been implementing each day’s challenge and have been truly blessed. I’ve really become aware of how quickly our tone is sour when we are tired or frustrated and I’ve really been able to catch myself before responding disrespectfully. My husband is more outwardly verbal and irritable but I had no idea how much I show contempt or feel it in reacting to him. I feel so great practicing responding with kindness in areas I used to find myself huffing even on the inside. It’s very freeing to not be caught in that cycle. I’ve also been practicing being cheerful after coming home from work. We honestly have no clue how negative we are in a day until we start to study our own actions. Thank you so much. 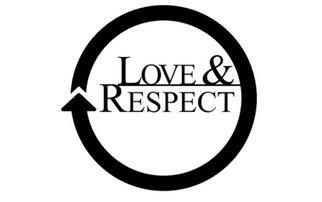 I definitely needed this refresher course in the Love and Respect. I had passed my book on to another couple years ago. I miss having my own copy. I’m so glad you made this available." "I will go find your book which is on my bookshelf. Your emails have kindled the spark again." "I am finding your emails exceptionally on point for our relationship that was struggling. We split for about 4.5 months and we have now found our way back to each other by the grace of God. After reading this 3rd email it is as if you were living in our house. These are the EXACT ways we were both feeling and could not figure out why we could not see each other's perspective. I - as the female - was doing all the things you describe and he - as the male - was doing all the things you described, and...that is exactly how we both were feeling. Not only have we both signed up for these emails but we have purchased the book and the workbook and have committed to studying together once per week so as to work on our relationship and getting back the the loving couple we once used to be. So far we have completed chapters 1&2. We are both excited for this journey. We have made decisions that our differences can no longer become bigger than US." This is the video version of our very popular 15 Day Marriage Plan via email (all content is provided in written form as well). You will be given access to one new video (7 videos/principles total) every few days and then have full and unlimited access to all videos and written content after the Plan sequence is finished. 1. Do the #1 thing in a conversation that according to research can most help your relationship. 2. Apply the 60-second test toward your spouse that reveals the power you have to influence the relationship. 3. See a pink and blue difference that many have testified was an Ah-ha moment that changed their marriage for the better. 4. Recognize that the method you use to motivate your spouse could be having the opposite effect you intend, even though you have goodwill. 5. Jump off what I call the Crazy Cycle that you keep spinning on because you innocently overlook decoding why you and your spouse react to each other. 6. Soften the spirit of your spouse by writing a few sentences in a note that I will help you write. 7. Understand the powerful significance and joy of giving your spouse what they need but do not deserve. Having said the above, I completely recognize the despair and hopelessness some of you have. I will not minimize the seriousness of your situation and pain. But were we to sit and chat face to face about your circumstances and relationship, I would still move forward with you on these topics. Though there is more to your marriage than these seven actions, these seven would be part of my discussion with you, and must be part of your efforts to help move your relationship forward. Though acting on these things does not guarantee healing in your relationship, you cannot have health apart from these seven actions. Are you ready to sign up and begin “The 15-Day Plan to Help Your Marriage”?